The Reds offense did their part. They hit four home runs in pitcher friendly AT&T Ballpark. The Reds pitching however did not hold up their end of the bargain. Cody Reed got hit hard again. He allowed six runs over five innings, including giving up a three-run home run to Giants pitcher Matt Cain. Blake Wood also struggled in relief, and despite the Reds best comeback efforts, they still fell short 9-7. According to FangraphsÃ‚Â WPA statisticÃ‚Â (winning percentage added), the most important play of the game was Cody Reed allowing a 3-run home run to Matt Cain with 1 out in the 2nd inning, giving the Giants a 4-0 lead.Ã‚Â That play decreased the Reds chances of winning by 16.4% (from 73.5% to 89.8%). Joey VottoÃ‚Â hit his 18th home run of the season. He also had another hit and a walk. Votto has a hit in every game since the all-star break. His OPS is now at a season high .908. Adam DuvallÃ‚Â hit his 24th and 25th home runs of the season. Duvall’s power has certainly slowed down, as this was just his 2nd and 3rd home runs in the month of July. He does however have 8 walks in July, which are the most of any month this season. Duvall's two home run night has him back on pace to hit 40 for the season. Jay BruceÃ‚Â hit his 24th home run of the season, and continues to be scorching hot. He has an 8-game hitting streak. Over his last 4 games, he has 5 HR and 12 RBI. The Reds have reportedly started “picking up the pace” on Jay Bruce trade talks. He is certainly putting together a strong resume. Jay Bruce just hit his 24th HR. No #Dodgers OF has more than 13 HR. Billy HamiltonÃ‚Â had another nice night, collecting two hits and a walk. Michael LorenzenÃ‚Â pitched a scoreless 6th inning. He now has a 3.31 ERA on the season. Lorenzen has certainly been a breath of fresh air for the Reds pen. Brandon PhillipsÃ‚Â extended his hitting streak to 14 games. He went 1 for 4. Zack CozartÃ‚Â also had a two hit night. Cody ReedÃ‚Â got hit hard again (5.0 IP, 9 H, 6 R, 5 ER, 2 BB, 3 K). The biggest blow of his night was when he allowed a 3-run bomb to Giants pitcher Matt Cain. It’s starting to look more and more like Reed isn’t ready for starting in the majors. Blake WoodÃ‚Â got beat up pretty bad tonight (1.0 IP, 4 H, 3 ER, 1 BB, 1 K). I wouldn’t be too upset about that. Wood has been very good all year for the Reds, and hadn’t allowed a run in his previous six appearances. 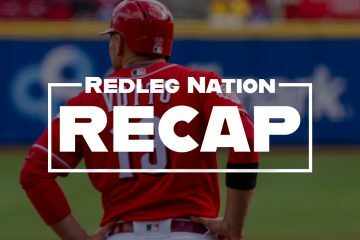 I think Cody Reed needs to be a lesson to the Reds.Ã‚Â Top prospects should not be called up when they are knocking on the door….they need to be kicking that door down. Reed was good at AAA (3.30 ERA), but he only made a total of 11 starts. It is very important for the Reds to manage their top prospects free agent and arbitration eligibility clocks. I don’t want to see another top prospect here until we are absolutely sure that they are ready. I don’t care how bad it is on the field. Also,Ã‚Â Joe WestÃ‚Â is trash. Have the Reds found the right role for Raisel Iglesias? Nick is a lifelong Reds fan who was born and raised in Cincinnati. He acquired his love of baseball from his late grandfather. Nick moved to the Cleveland area in 2014 with his wife, and his currently fighting to convert his beautiful baby daughter Emma to Reds fandom. 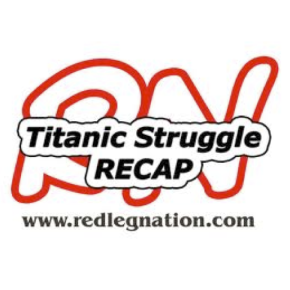 Nick has been writing for Redleg Nation since 2013. Follow Nick on Twitter @nicholaspkirby. I think Cody Reed needs to be a lesson to the Reds. Top prospects should not be called up when they are knocking on the doorÃ¢â‚¬Â¦.they need to be kicking that door down. Reed was good at AAA (3.30 ERA), but he only made a total of 11 starts. It is very important for the Reds to manage their top prospects free agent and arbitration eligibility clocks. I donÃ¢â‚¬â„¢t want to see another top prospect here until we are absolutely sure that they are ready. I donÃ¢â‚¬â„¢t care how bad it is on the field. Amen. But good luck on the Reds brass being smart enough to do that. They are wasting precious days on Reed’s arb clock while he gets kicked around up here when he could easily be fine tuning his stuff at Louisville and delaying starting his clock as long as possible. Of course, the question then becomes if not Reed, who will pitch for the Reds? Stevenson has been better than Reed this year in a small sample. Reed rose colored glasses not withstanding but if Cozart makes an easy play for him and Duvall makes an easy play, very different inning. You let all of your major league starters go except Disco and you only have prospects, someone has to start. Obviously running out a retread like Simon every few days wasn’t working either. This was even amplified with losing Disco, Homer and Iglesias for quite a while, but someone had to start and Reed was the next in line. Think about how worse it would have been if Straily hadn’t come out of the junk pile and been able to pitch some innings. Obviously the Reds got Duvall for Leake, but the Reds would probably be so much better even in this terrible year if they had at least one more mid level starter like a Leake or Arroyo that is a pro that can actually get through 6 innings every time they go. On the open market, “mid-level” starter Mike Leake cost 15 million per year. Why would you spend 14.450 million above the cost of Brandon Finnegan to win 65 games instead of 62? Good call, Chuck. The Reds are competing against the Cubs (well, and the rest of the NL Central above them) right now… Mike Leake or much of anyone else was/is going to make up that difference. Unless they have the horses to compete all the way, there is no sense in spending more money to be marginally more competitive. You can’t have it both ways though, either you pay for a pro or if you go with the prospects, but you got to pitch someone. If the Reds don’t try Reed, the complaint would be “why are they using this AAAA scrub who won’t be around when the Reds are good again.” They are already avoiding using Stephenson for arbitration clock reasons. A tale of 2 narratives. It wasn’t that long ago that the Reds were dumb because they were sending out stiffs like Simon and Melville to pitch…in a lost season…. when Reed and Stephenson were in Louisville. Winning those 2 or 3 extra games while starting the Super 2 clock (let alone service time) seemed like such a good idea….if only the Reds cared about their fans. Now the Reds are dumb for rushing Reed….in a lost season….when there are plenty of stiffs out there that could’ve been used in order to allow Reed to develop more. They’re wasting his service time while he’s getting shelled……why would the Reds be dumb enough to try to please their fans who generally don’t know anything. I don’t think they were dumb for “rushing” a guy who looked ready. However, when he consistently shows he isn’t ready along with little or no indication of progress, then it is time to look at changing the program for him. reds weren’t dumb to try Reed, but they are dumb to keep sending him out there when he’s demonstrated he isn’t ready. Send him back down with a list of things to work on, and stop wasting his service time. Actually they were dumb to do that move. Did you read the article? The author said that it is a dumb move to bring someone up from the minors unless they are “kicking down the door,” which would mean they simply have nothing to gain from being down there. With a mid 3 ERA, I would say he can still develop there. I actually did read the article. Thanks for asking! I disagreed with the “kicking down the door” premise. It was Ok to bring Reed up, but he is overmatched. AMEN, Jesse. Reed has talent and is the future. But he has shown that he is not ready for MLB starts. Let him work it out in the minors before NL hitters pummel his psyche here! With the advent of replay, is it exposing just how bad the umpiring in MLB really is and always has been or are the umpires less invested in getting it “right” because they know replay can correct their errors? Or am I just being too harsh. I’m just really amazed at the number of calls that get overturned. I agree that if Cozart makes the play he normally makes and Duval catches a ball that hit his glove then Reed is out of that inning unscathed but both balls were hit hard and everyone, even Mozart misses a play every once in awhile. Reed has to learn to shake those things off and cannot give up a homer to the pitcher, Posey or Belt or even Crawford OK but not the pitcher. Reed will be fine as long as he takes this as a learning process and does actually learn from it. He has the stuff. Even though he gave up the homer to a pitcher, it’s a pretty unlikely occurrence. If he throws that exact pitch to Matt Cain 50 times, he probably homers off it twice. Tonight was one of those two times. You are right, they are rockets. The point is rockets don’t always go for homers/doubles/whatever. Sometimes rockets are caught. Sometimes rockets are warning track shots rather than homers. RE:PJ’s comment… The issue is Reed is allowing lots of rockets up and down the line up; and, we know from the emerging data on exit velocity that hard hit balls are good for offenses. The more hard hit balls he allows, the more likely it is he will allow more damaging hits in relation than if he gave up fewer hard hit balls. The Reds analytics staff is hopefully assembling all the pitch type and location data about Reed they can get their hands on and overlaying it to see if he was throwing the same pitches in the same locations when he was succeeding in the minors as he is now when he is not succeeding in the majors. Hopefully this is not the case with the location data because if it is, the Reds and Reed likely have a major problem versus one which is fairly easily corrected. Reed has stuff but everything is the same speed! Plus he also only seems to go middle-away so the hitters have the speed and location down for their swing. That’s a recipe for a beatdown! You can tell because even the lefties are hitting rockets the other way on him! I guess they can keep running him out there but it has to put a major dent in his confidence at some point! Pitching inside and using both sides of the plate will help some! I apologize for beating the Lorenzen drum on here so often for 1.5 seasons now but he could be the next Kevin Brown! A big strong guy that throws a hard and heavy ball and gets a lot of quick groundouts or doubleplays! I don’t think he’s given up a flyball in his last 2 outings. I’d get him back in the rotation asap. They really should trade Straily and that would open up another spot but who knows? I would not trade Straily yet. you will not get back value for him today and for him to be able to start for this team as we break in a host of new starters is valuable. Kind of the role that Alfredo was signed to do. I too like Lorenzen. He is a competitor and has good stuff though he is just growing into himself as a pitcher. that said, he was better last year than Reed is this year. It’s easy to hit a M instead of a C, but I doubt if Mozart missed a beat in his day. I noticed that, thought it was intentional, and appreciated it. Wolfgang Amadeus Cozart. My opinion differs. What else is he going to learn at AAA? He can get a AAA hitter out with his stuff. When that same stuff gets hit at the MLB level, he has to learn what to do to avoid that. He will never learn unless he experiences some failure. The big league coaches are here and see what adjustments need to be made. Hopefully with Homer back he can “coach up” our young pitchers with his experience. I think this is a very important factor that the starting pitchers have been without all year, (unless you count Simon and Strailey). Mr. Reed, this is Mr. Soto. Mr. Soto, this is Mr. Reed. I love Cody Reed, but he has to learn how to pitch at the ML level. He has a lot to work on over this coming off-season. It isn’t just Reed, but all the Reds pitchers have to finally learn that belt high fast balls out over the middle of the plate and sliders that don’t slide get hit a long way at the ML level. It is all about location. This time next year we all will be saying what a stud Reed is. It is just going to take some time. A little bit longer time period than we had hoped for. Not a bad outing after all, one bad pitch to Cain, excluding that it’d had been a five innings, 2 ERs performance. Also, Wood was not good, had he performed Reds get another win. I will stick with the fact Reed has nothing left to prove in the minors.He just needs this experience and more importantly needs to learn from it and show it on the mound.Left handers with his stuff are very very hard to find but rarely does a pitcher come up from the minors and dominates in the majors from the get go. When you’re giving up HR’s to pitchers, and giving up this many HR (even though I understand it’s mathematically improbable to maintain this rate) there has to be something he can do better. Where is the coaching staff on this? I started out after watching Reed blow again thinking that makes the decision easy who to send out to make room for Homer on the roster. The problem was then Wood and Ohlerndorf pitched so how do you send 3 down to open up one spot needed for Bailey? I don’t think they can Straily. First of they need him to fill a rotation spot, without Bailey we only have 4 starters unless you want to count Sampson. The Reds need Straily to keep eating innings even if it is only 6 a night. The plus on that is he is pitching well, but the return on him would be negligible. They need him to start through the end of the year when Finnegan and Reed reach their innings limits. Worst case scenario next year is Straily pitches out of bullpen next year. Pretty good option coming out in middle innings to relieve some of the young guys. Votto’s 2nd half surge of .500/.620/.889/1.509 continues to make a mockery of NL pitching. His impotent early two-week struggles have yielded to a 2nd half offensive explosion that exceeds even his own 2nd half offensive explosion from last season. There are 62 games remaining in the season. Certainly, Murphy and Rizzo would be the league favorites right now for MVP consideration (Carpenter is on the DL and hasn’t played since July 6th) with Lamb and Arenado benefiting from serious home field splits. 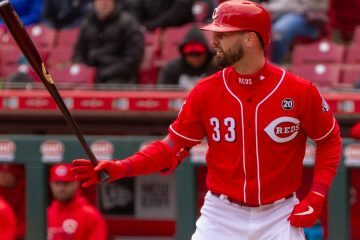 As unlikely and improbable as serious MVP consideration is for Votto, by the end of the season, the NL MVP race could very well come down to a decision between Murphy and Votto and their contrasting styles. I’ll piggyback on your Votto train. Here is an article today by Jon Heyman at Todaysknuckleball. Nice. But not a screenname fail!!! Gotta love a nice MLT. Did anyone hear Price’s apparent comments on the bullpen roles during the game last night? Price likes the “old school ambiguity” of our current bullpen and wants the pitchers to be ready at any moment, not just at a certain point or inning. Certainly nice to hear this unconventional (at least in modern MLB) use of the bullpen with few to no set “roles” may not be as temporary as we thought! That’s rich, citing only Reed’s AAA ERA to imply that he wasn’t ready (and to feed into editorial bias that Reds’ handling of players is borderline incompetent). Can we at least see his advanced AAA to bolster your argument?